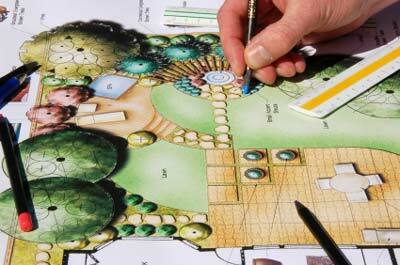 Think garden designs can only be created by master gardeners? With these simple tips, you too can be on the way to creating beautifully designed garden areas in no time at all. All good garden plans have a few things in common. As you work with and become comfortable using the basic elements of design listed below, you'll amaze yourself with how many different ways you can beautifully put together a variety of flowers and plants. identify plants that will grow in your hardiness zone and use plants that work for you; see the gardening article: It Died...So, Now What?" 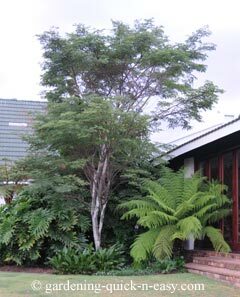 to provide eye appeal, play with using size in your garden; use a combination of tall, short, wide, and/or narrow plants. Grab some paper and a pencil. You can make your drawing as simple or elaborate as you wish... but do make a sketch of where you think you'd like to place your various plants, accents etc. in your gardening area. This will give you a general idea of what the area will look like. Use colored pencils or crayons to help you visualize the color scheme also if you'd like. Apart from using flowers to add color to an area, different colored foliage can be used to great effect to create interest, and shrubs in general need much less maintenance than flowers. You'll soon be on your way to creating beautiful designs for your garden areas. "Put a roundy by a frilly by a spiky ... and add a floppy."